I remember seeing this movie during MMFF and it was a big hit back then. Will this installment equal or even surpass that movie or will this be a bust? That's what the unkabogable Vice Ganda is about to prove when "The Amazing Praybeyt Benjamin" comes out this Christmas as Star Cinema and ViVa Films offering in the 40th Metro Manila Film Festival. 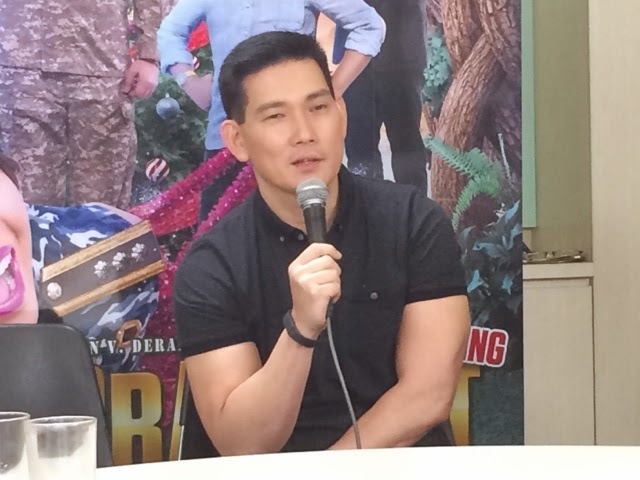 During the blog conference, we talked to Richard Yap and he says "We've never worked together in a movie so this is my first time with most of thw stars. 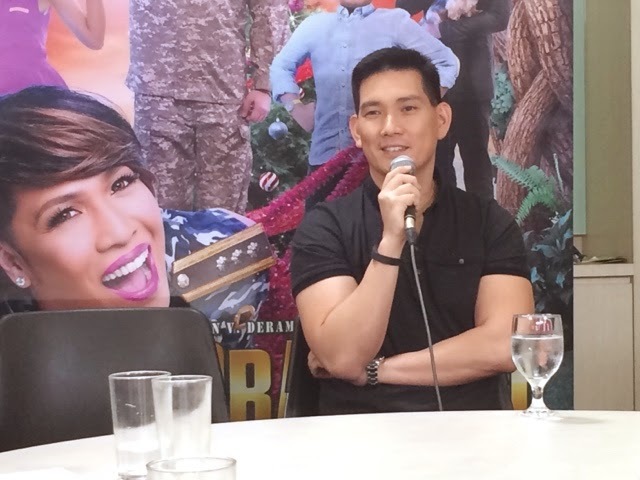 With Direk Wenn you have to be very fast, how he works, you really have to pick up the pace. 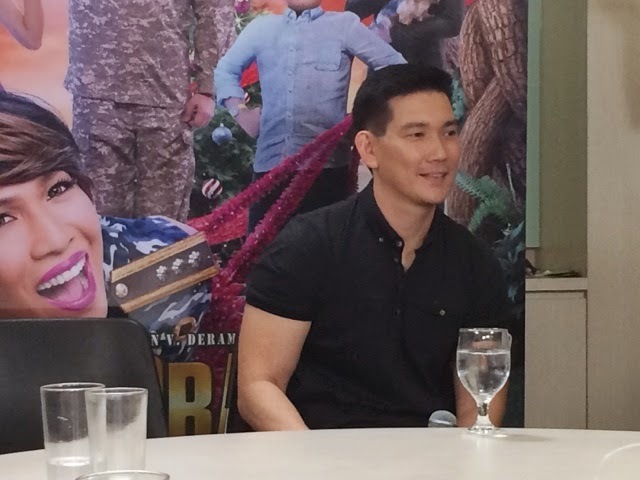 We already talked about making a movie before but that was shelved because of Be Careful With My Heart that we were supposed to do this year. I wasn't apprehensive because I know they were going to help me. It was also a nice experience working with Bimby, he's like our baby in the set. He did all the things Direk Wenn told him to do. Of course it's different when it's MMFF because it's like a competition too. There's a little pressure there but I know it's going to be a great movie I did some scenes here where you won't see the respectable version of me, but I'm okay with that. Even though it's a comedy, there's family, love for country. There's a lot to learn from it. I'm blessed because there's no sepanx from BCWMH because I don't get attached that much to things. We'll be flying to Vietnam by the way on Monday to meet the fans there. I'm excited! This is going to be the most exciting movie you'll watch this Christmas." This film is directed by Box Office Director Wenn V. Deramas and written by Keiko Aquino and Danno Mariquit. 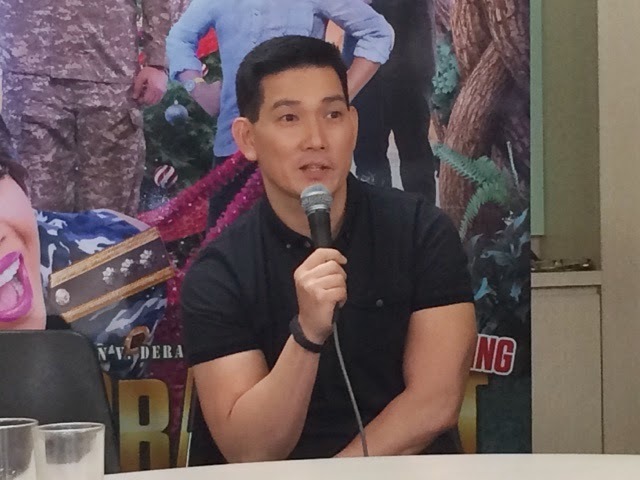 It also stars Richard Yap, Bimby Aquino, Alex Gonzaga, Tom Rodriguez, Nikki Valdez, Vandolph Quizon, Kean Cipriano, DJ Durano, Ricky Rivero, Al Tantay, Malou De Guzman, Abby Bautista and Angeline Urquico.